here are a few polishes, at different price points, that you can try. 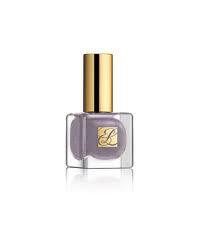 next up, Estee Lauder in Surreal Violet. great color, but come on, $18? not me. and the winner, at an affordable price point ($8) and a beautiful color, OPI Metro Chic! get your Fall on. your nails. I've been using the Rimmel Steel Gray as well and love it. I'm anxious to try the OPI one though. Emily, thanks for the Steel Gray recommendation. i am going to give that a try!